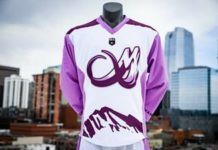 Adam Jones of the Colorado Mammoth broke the National League Lacrosse record this past weekend for most consecutive games with one or more goals. 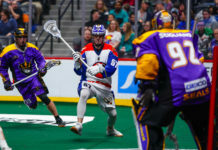 When the Mammoth faced off against the New England Black Wolves on Saturday night, Jones extended his goal-scoring-streak to 56 games. 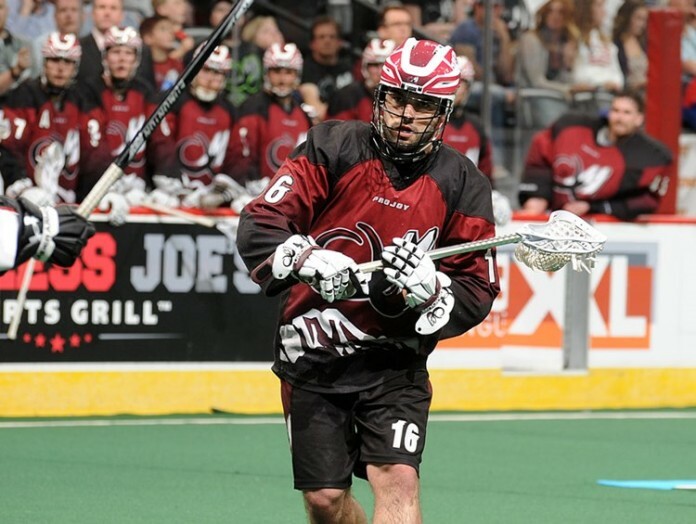 Prior to the game, Jones was tied with teammate John Grant Jr. for the longest scoring-streak in NLL history. The Black Wolves are just the latest team to have tried to slow Jones down and fail. In fact, they didn’t even come close to stopping Jones, who was entering the game on the heels of two consecutive “sock tricks” (when a player scores 6-goals in a game) at home, but Saturday night’s performance one-upped his previous games with a total of seven goals in the game. After Saturday night’s 14-13 victory, the Mammoth are now 8-2 on the season, putting them No. 1 in the league. They are also undefeated at home, going 5-0, despite four close victories that came down to one final goal. Jones’ seven goals gave him a total of 34 on the season and placed him second on the league goal-scoring leaders stat sheet. With a total of 53 points (34 goals and 19 assists), he is tied for fifth in overall points in the league. However, his record-breaking stat isn’t what he’s excited about. The Mammoth have their second and final week off of the regular season next weekend before traveling to Calgary to play the roughnecks (3-7) on Saturday, Mar. 19.